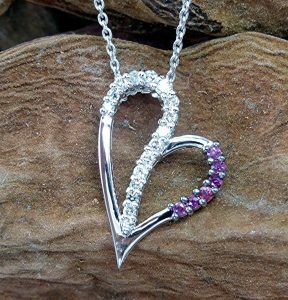 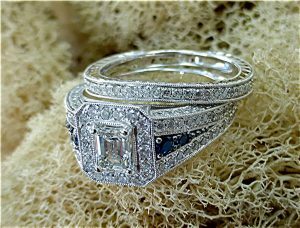 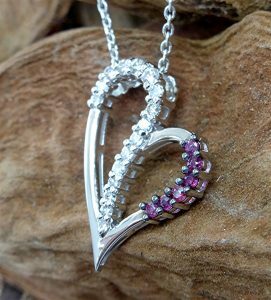 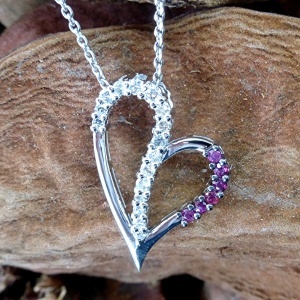 Includes sixteen mixed size diamonds totaling 0.36ct. 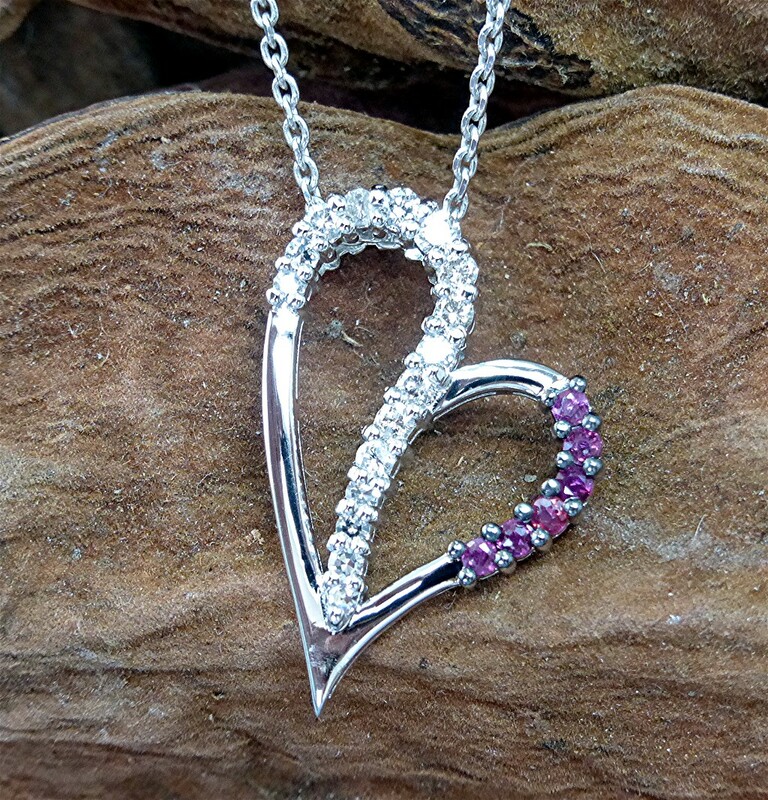 on one side and six rubies totaling 0.21ct. 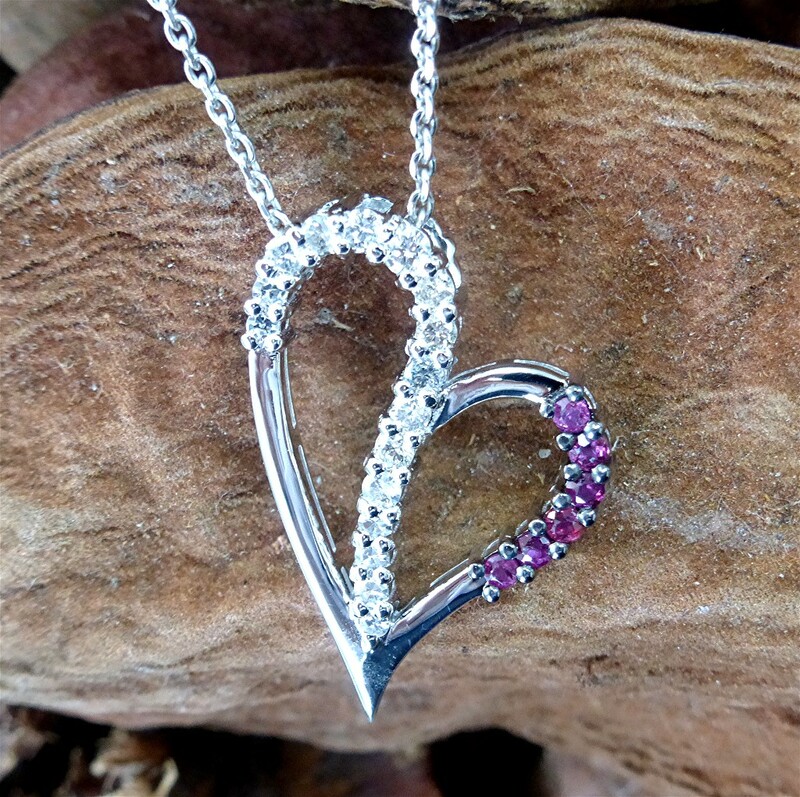 prong set on the other side with hidden bail on the side. 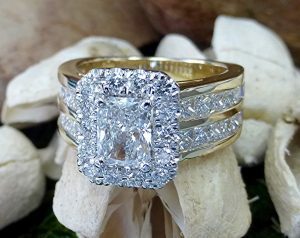 Center stone is 0.45ct. 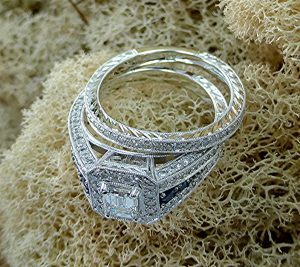 (5.0×3.9mm) diamond, set in 14k white gold mounting with 118 micro pave set round brilliant cut diamonds on all three sides of the ring. 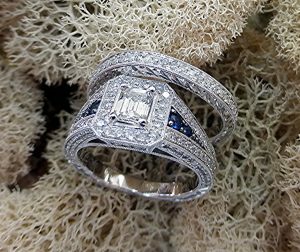 four royal blue sapphires are set on the shoulders of the ring(0.14ct.). 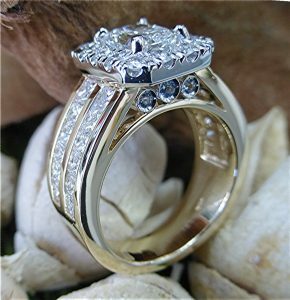 Matching band has 30 round diamonds on top. Total diamond weight for all 118 RBC diamonds is 0.81ct. 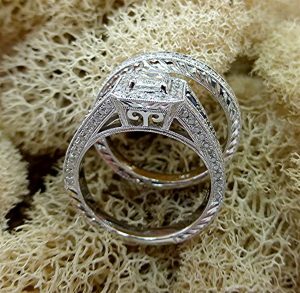 All three sides of two rings are beautifully hand engraved. 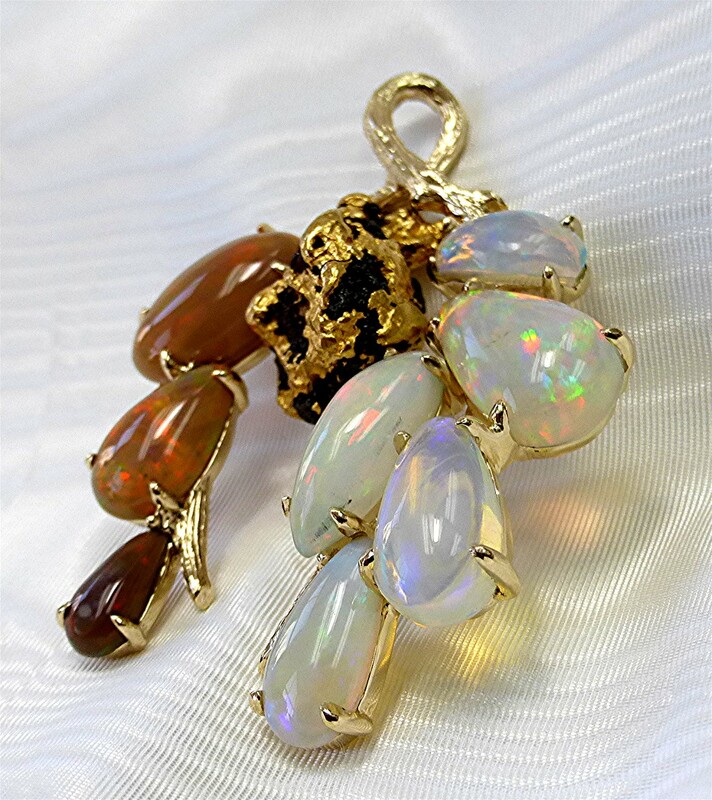 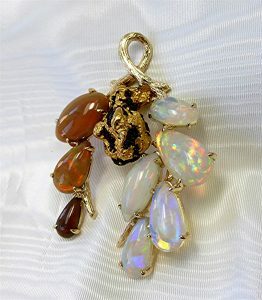 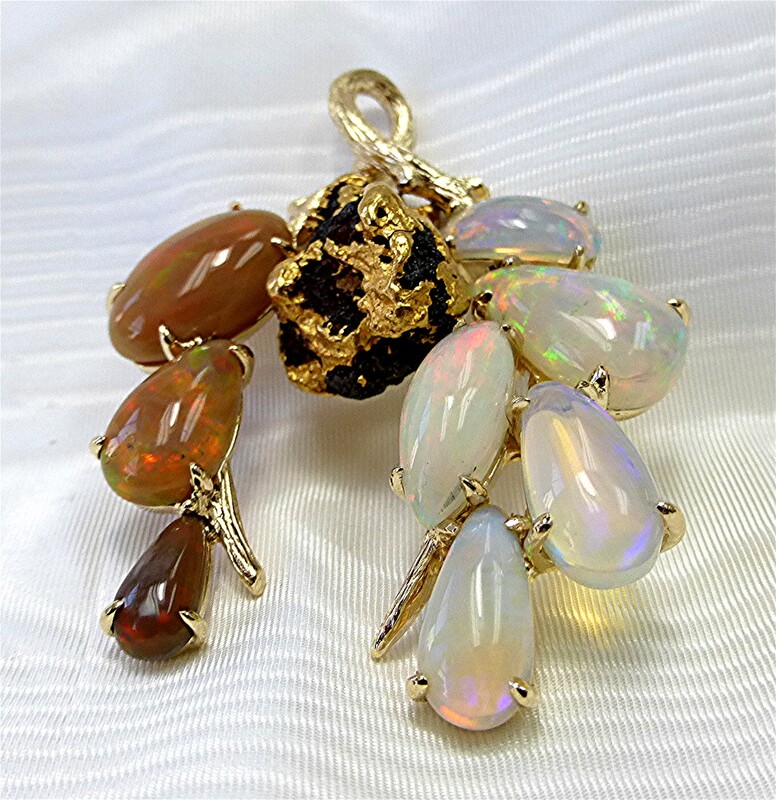 14k/24k yellow gold pendant with eight pear and marquise shaped opals and natural gold nugget and bark design bail. Center stone is 0.71ct. 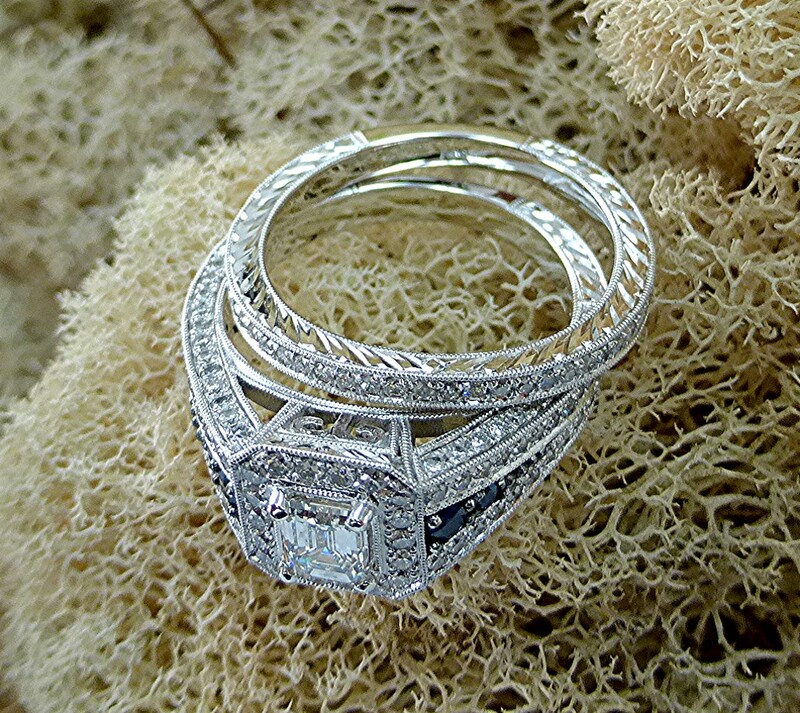 Round breliant cut and two side stones are o.43ct. 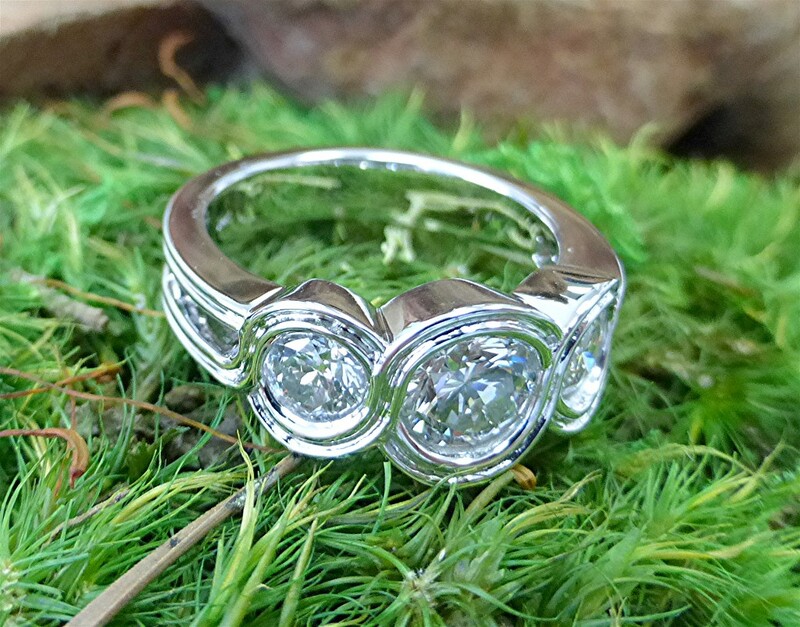 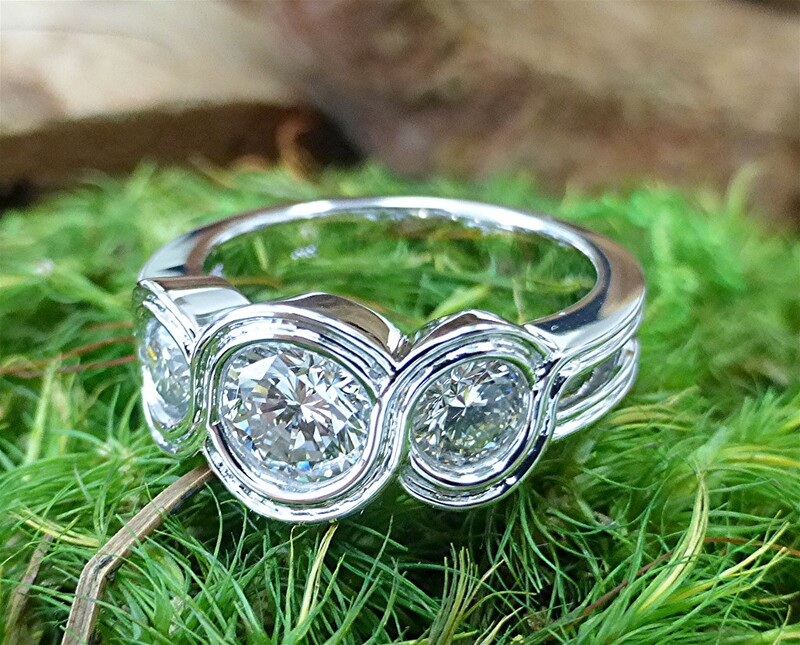 and 0.31ct, bezel set in twisted pattern made in 14k white gold. 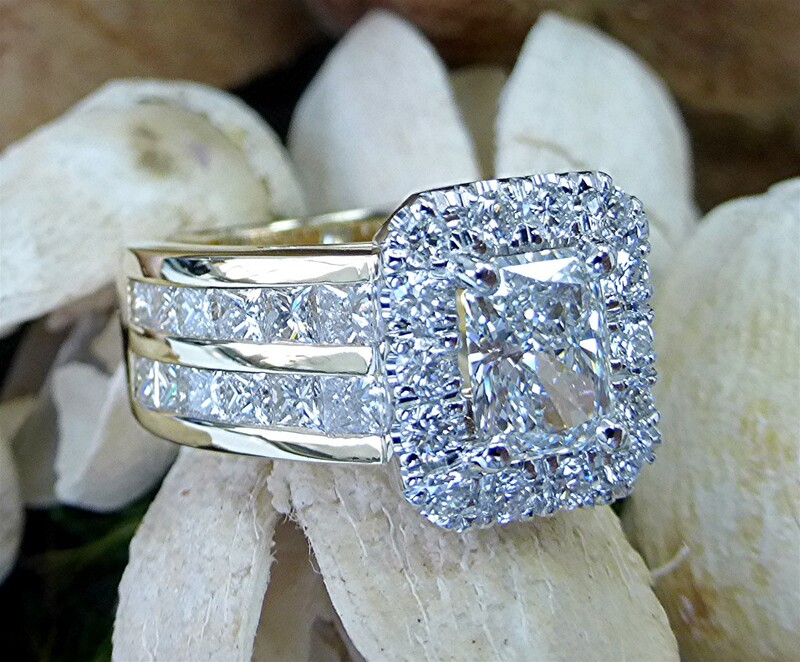 Center stone is one carat emerald cut diamond with same shaped halo with 14 round brilliant diamond are cut “U” set in 14k white gold totaling 0.40ct. twenty-four princes cut diamond are set in two rows on the shoulder of the 14k yellow gold shank totaling 1.18ct. 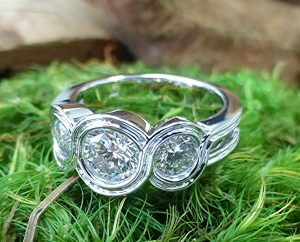 six 1.4mm/1.5mm(0.07ct.) aquamarine are bezel set on the side gallery, under the halo.